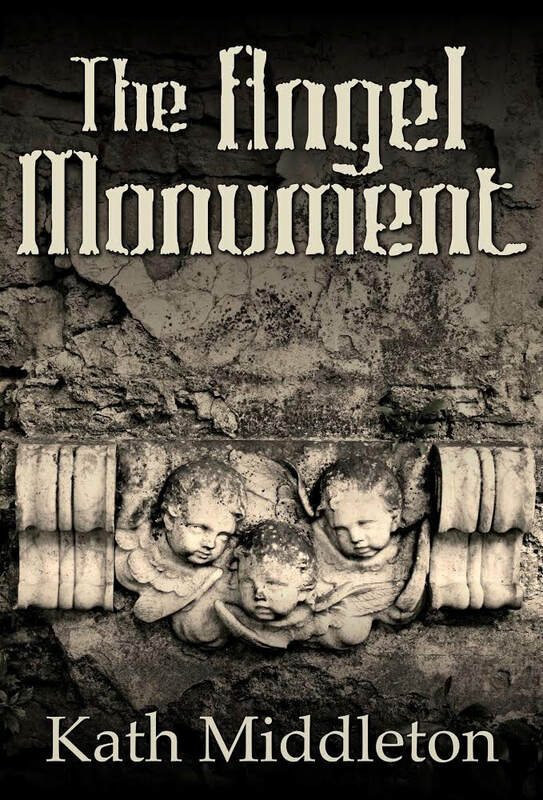 This is the cover of my next book, The Angel Monument. As you can see, it’s a memorial style carving of three angelic heads. The original wall plaque in an abandoned chapel bears no inscription. It’s begging to be part of a story! Oh! You’d think they’d read the book! In 2018 I read 138 books. I published two. They say that reading is inhaling and writing is exhaling but obviously you can do the first much faster than the second. Stephen King says that if you want to be a writer you must do two things: you must read a lot and write a lot. There are writers who don’t read while they are working on a book in case it somehow influences or taints their work. Unless you set out to write fan fiction or pastiche you must set out to develop your own style. I don’t believe reading influences writing other than to give you a taste of good vocabulary and sentence construction. This, of course, means you need to read good writing. After a while you become more discriminating and I no longer try to persist in reading a book that’s clumsily written or with incorrect word choices. I love most of the books I read because I don’t finish those I don’t love. I think you can tell when a writer isn’t a great reader. I’ve discovered some fantastic authors new to me this year. I shan’t list them because you’d nod off reading the list. I have a few authors whose new work I jump on as soon as I can, but I also love to find new favourites. Some are traditionally published but some are self-published. Many writers get hung-up on whether self published authors are real authors. In my experience the readers don’t notice who the publisher is for the most part. A good read is a good read. 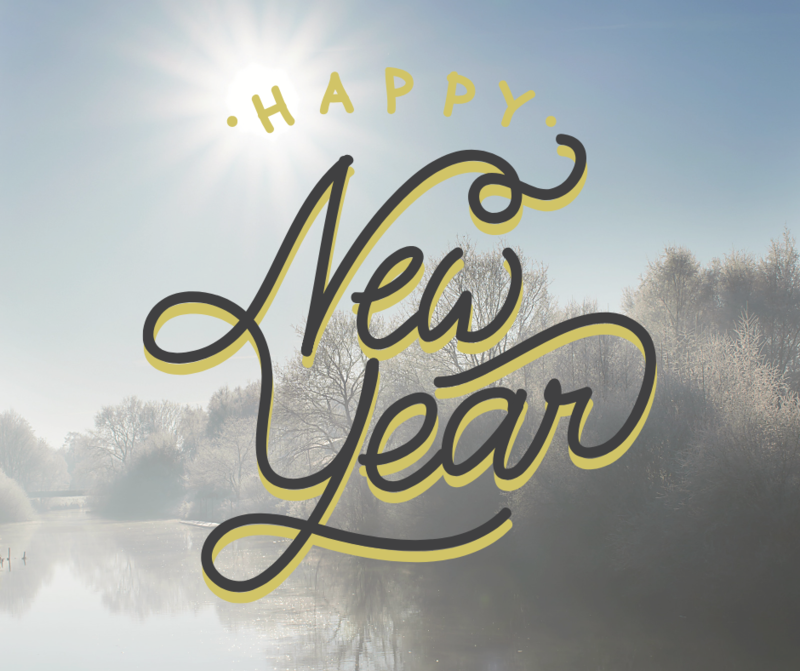 I wish you many good reads for 2019. DCI Bennett is away on compassionate leave. After much soul-searching, he has decided to attend his father’s funeral. DS Owen is left at the helm when the discovery of a body in a car in the multi-storey car park is reported. Initially, the Coroner rules out suspicious circumstances but when a second body is found with similar symptoms, Bennett is back in the fold. He suspects that the coincidences must be of some significance. Soon Bennett’s team are hunting for a callous and devious killer who has covered his tracks effectively. Will Bennett’s perseverance and attention to detail eventually crack this perplexing case? Something that kills people in three breaths? Something that leaves no trace. Cyril Bennett has his work cut out here. There are several victims and they seem to be linked together by coincidence. Do you believe in coincidence? We have an unusual killer with what seems to be a random selection of victims and it’s interesting to see how the pieces fit together. I enjoyed the further delving into Cyril’s past life, his bequest from his father, and Julie and his stepmother Wendy’s continuing relationship. There’s the most unusual murder method I’ve ever read about, combined with some delving into Cyril’s past relationships which give a balance of head and heart that I really liked. Engrossing and satisfying. You could say that the writing was clearly on the wall for anyone born in a library, that they might aspire to be an author but to get to that point Malcolm Hollingdrake has travelled a circuitous route. Malcolm has written a number of successful short stories and has ten books now available. 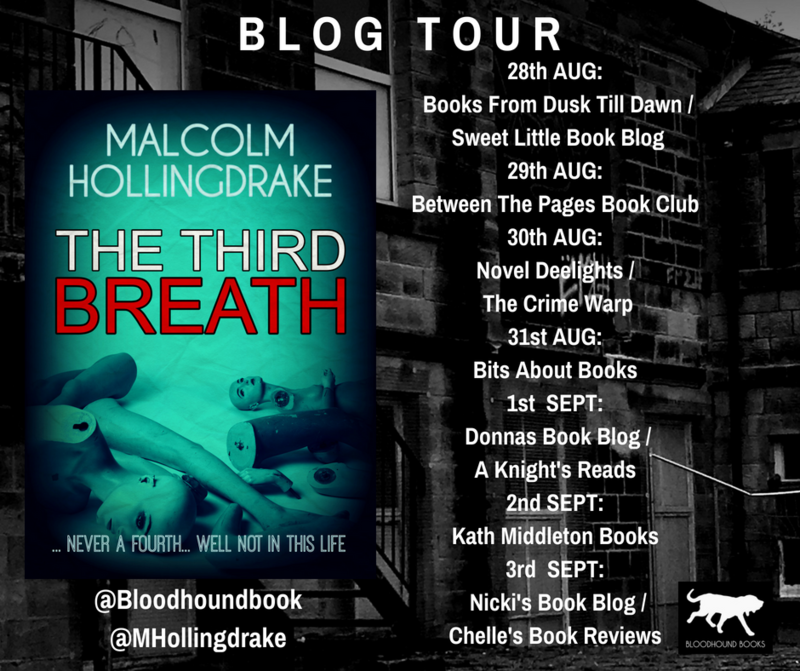 Completing ‘The Third Breath’ fulfils the seven book publishing contract with Bloodhound Books but there are exciting plans for the future, not only with DCI Bennett and his team but also with another series. More information will follow soon. Born in Bradford and spending three years in Ripon, Malcolm has never lost his love for his home county, a passion that is reflected in the settings for all his novels. This year, Malcolm self-published a beautiful and poignant short story titled ‘The Penultimate Man’ to commemorate the centenary of the conclusion of WW1. It has also been released as an audiobook. Malcolm has enjoyed many hobbies including collecting works by Northern artists; the art auctions offer a degree of excitement when both buying and certainly when selling. It’s a hobby he has bestowed on DCI Cyril Bennett, the main character in his latest novel, 'The Third Breath'. The book is available from Amazon and you can find it on Malcolm's author page here. ​Previously published as Ledston Luck (the name of a village in Yorkshire) . They say you can always trust a policeman. They are lying. They lied thirty years ago and they are still lying today. When a booby-trapped body is discovered in a long-abandoned chapel, CSI Eddie Collins and his team are called to investigate. But when the scene examination goes horribly wrong, Eddie and DI Benson are injured and one of the team killed. Heartbroken by the death, Eddie is also guilt-ridden. But more than that he is angry. Very angry. Eddie will stop at nothing to bring the guilty to justice, and will teach them that even when served cold, revenge is a killer dish. Eddie Collins is such an annoying man. Sometimes I could slap him. He’s irascible, angry, stubborn, but usually, he’s right. He’s a man driven by a desire for justice. He’s at a scene when a booby-trap kills his colleague and injures him. It’s the scene of an old murder, but a new killing, also booby-trapped makes old and new murders come together. Someone higher in the system is trying to frustrate the case and sideline Eddie. They didn’t reckon with the fact that Eddie won’t let go, especially when he’s angry – and he feels guilty. The wonderful thing about an Andrew Barrett book is that you often don’t totally like the goodies and you feel strong sympathy for the baddies. As with real life, there are no black and white characters, but many, many shades of grey. Stories like this make you think and there are often no easy answers. This book’s packed with action but there’s room for thoughtful contemplation, too. It works on many levels. A brilliantly good read. Andy has been a real life CSI since 1996, after a varied life working on a farm and in the Kuwait oil fields. His first trilogy, beginning with A Long Time Dead, features Roger Conniston, a SOCO (scene of crime officer as they were called then) and these were the first book of Andy's that pulled me in to his brilliant writing style. Today, Andy is still producing high-quality, authentic crime thrillers with a forensic flavour that attract attention from readers worldwide. He’s also attracted attention from the Yorkshire media, having been featured in the Yorkshire Post, and twice interviewed on BBC Radio Leeds. 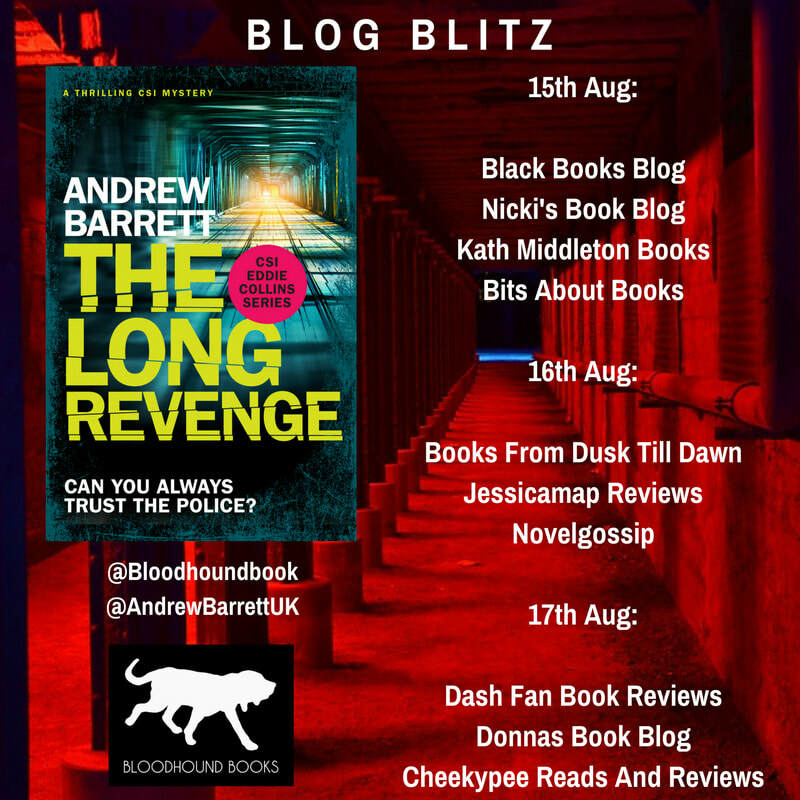 You can buy The Long Revenge here on Amazon uk and here on Amazon dot com. This is the image that inspired the book I'm writing at the moment. I'm calling it The Angel Monument and it's set in 1824-25. I'm getting within sight of writing The End under the first draft. I belong to a Facebook book club, the UK Crime Book Club, which recently passed the milestone of 5,000 members so we wanted to celebrate. 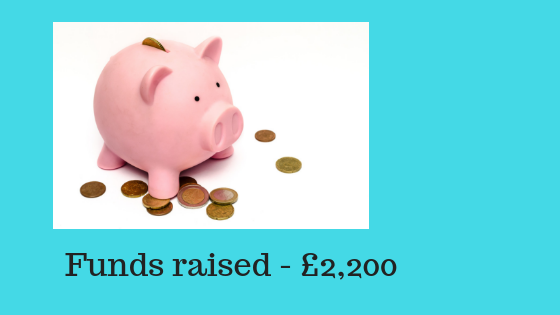 We decided to have a month of fundraising in aid of two educational charities - how great to share our love of reading. They are The Lighthouse School (for autistic children) and Dyslexia Sparks. Generous authors immediately leapt in with offers of signed books to raise funds for these two causes. As I don't write crime (though I read it!) the readers here are not really my audience. I decided to offer people the chance to have their name - or a relative's - used in this book. I now have a gentleman of mysterious background by the name of Joshua Stevenson, a young lady of honour and intelligence by the name of Caroline Maston, and a boot boy named Alfie Laidler who works in the big house and turns into a bit of a star. I'm pleased to say that our total so far, after just over a week, is in the region of £700, with another week and a half to go. What an achievement. Even when the mystery is solved, proving it turns out to be deadly. Scenes of Crime expert Eddie Collins is the real star of this novel. His private life is as hopeless as ever and he takes on his dad’s problems too. You know that situation when, an hour or so too late, you think of the great put-down, the witty riposte, but you weren’t fast enough? Eddie Collins is the man. He’s razor sharp and is no respecter of persons and we laugh with him while cringing as we watch him digging the hole deeper. He is also the newly-promoted head of his team and his methods of personnel management and team building are not the usual ones. He is a tragic combination of empathy and temper. Eddie tackles a murder on his patch but he finds a connection with an unsatisfactory verdict of thirty years ago. His methods are irregular but as he’s meticulous and the best at the job, he finds the evidence from which the detectives solve their cases. The story lines weave together very well and the interplay between the characters is a delight. The ending knocked me over. I really love the complexity of these stories and I hope we’ll hear more from Eddie in the future. This story could be read as a stand-alone although it forms part of a superb series. Hard-hitting and imaginative, this book is an absolute cracker. ​Andy has enjoyed variety in his professional life, from engine-builder to farmer, from Oilfield Service Technician in Kuwait, to his current role of Senior CSI in Yorkshire. Today he is still producing high-quality, authentic crime thrillers with a forensic flavour that attract attention from readers worldwide. He’s also attracted attention from the Yorkshire media, having been featured in the Yorkshire Post, and twice interviewed on BBC Radio Leeds. Andy Barrett is a proud Yorkshireman and sets all of his novels there, using his home city of Leeds as another major, and complementary, character in each of the stories. 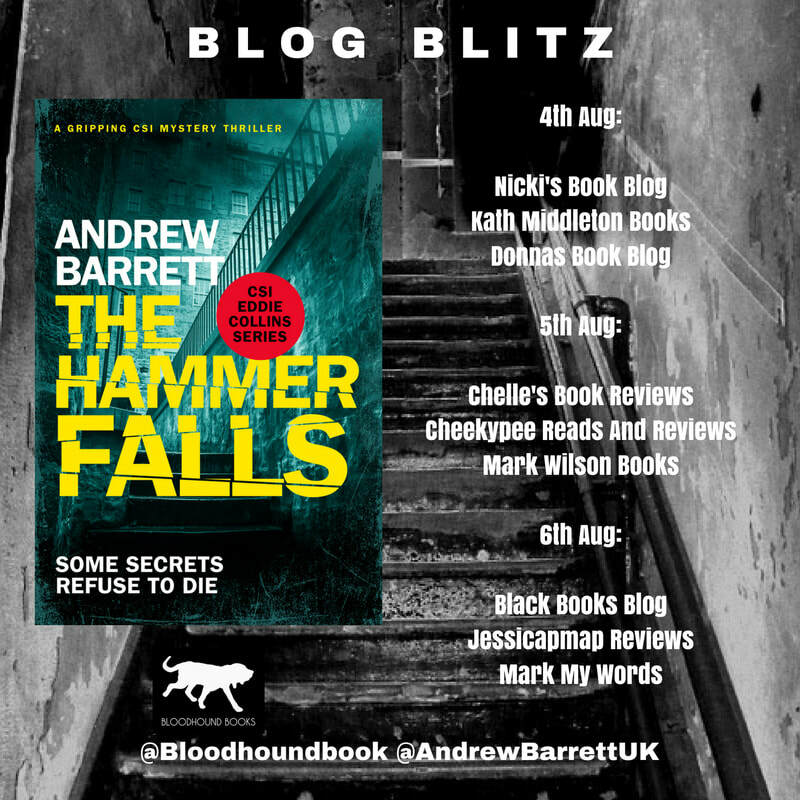 The Hammer Falls is available from Amazon uk here and from Amazon dot com here.